The Covfefe Act Has A Silly Name — But It Addresses A Real Quandary : The Two-Way In an era of unfiltered tweets from the president, Rep. Mike Quigley's bill would require the archiving of the president's social media posts — from official and personal accounts. Rep. Mike Quigley has introduced the Covfefe Act, which would expand the Presidential Records Act to include social media. Above, the Illinois Democrat on Capitol Hill on Monday. In name and in aim, it's a bill for our political moment. Ladies and gentlemen, Rep. Mike Quigley of Illinois presents: the Communications Over Various Feeds Electronically for Engagement, or COVFEFE Act. As Congress has taught us time and again, any legislative priority can be pretzeled into an acronym if you simply toss away the conventions of standard American English. But like the best legislative acronyms, the Covfefe Act's title points to its content. If you've forgotten, or you called in sick to the national conversation on May 31, President Trump tweeted simply, "Despite the constant negative press covfefe", which was retweeted more than 100,000 times before he deleted it. And a strange new word was born. Quigley's bill amends the Presidential Records Act to include the term "social media" among the materials that are documented, "ensuring additional preservation of presidential communication and statements while promoting government accountability and transparency," according to a press release on Quigley's website. As the National Archives explains, "The PRA changed the legal ownership of the official records of the President from private to public, and established a new statutory structure under which Presidents must manage their records." While the bill's name is silly, it addresses a legitimate issue. The PRA's framers in 1978 likely did not envision a future in which the president was making constant public statements, typos and all, immediately read and discussed worldwide. "In order to maintain public trust in government, elected officials must answer for what they do and say; this includes 140-character tweets," said Quigley in the release. "President Trump's frequent, unfiltered use of his personal Twitter account as a means of official communication is unprecedented. If the President is going to take to social media to make sudden public policy proclamations, we must ensure that these statements are documented and preserved for future reference." White House press secretary Sean Spicer confirmed last week that Trump's tweets should be considered official statements. "The president is president of the United States," said Spicer, "so they are considered official statements by the president of the United States." Since becoming president, Trump has tweeted from both his @POTUS account, which says its tweets are archived, and his personal account, @realDonaldTrump, which does not. The Covfefe Act would require archiving both official and personal accounts. Earlier this month, Trump blocked at least two users from viewing or commenting on tweets on his personal account, which raises First Amendment questions. 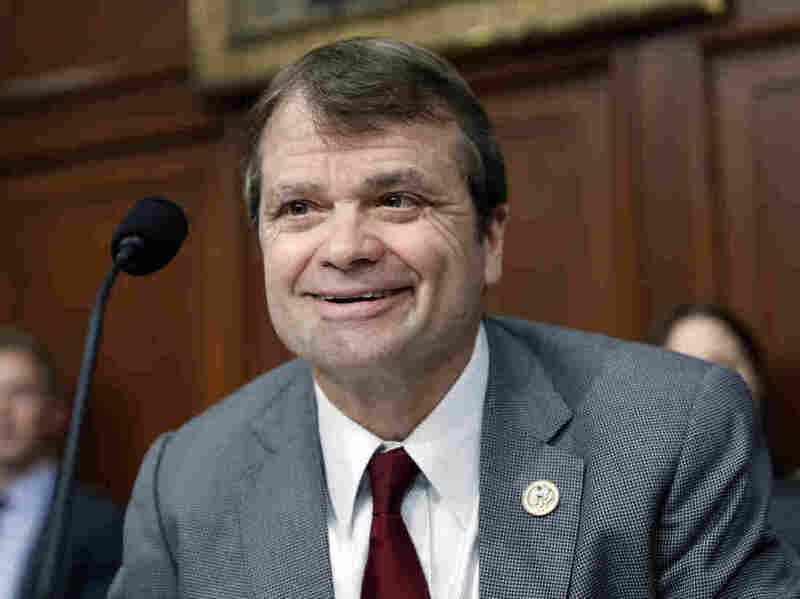 Quigley, a Democrat who represents Chicago's North Side and some of its western suburbs, was a sponsor of another recent piece of memorably-monikered legislation: the Making Access Records Available to Lead American Government Openness — or MAR-A-LAGO — Act. That bill requires the president and vice president to disclose the names and purposes of visitors to the White House and any other location where they conduct official business. With Republicans controlling Congress, the Covfefe Act may be D.O.A. But archivists, take heart: Even the president's deleted tweets aren't forgotten.